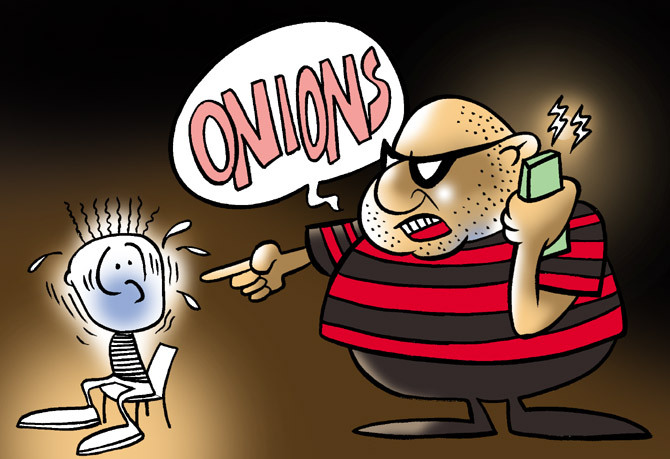 Rediff.com's Uttam Ghosh refuses to let the rising onion prices make him cry. Instead, he has decided to make you laugh. The prices of onions have shot through the stratosphere, leaving Us reeling. No onions in our pav-bhaji any more. Eating Punjabi food? Savour it without onions please! The humble onion now has 'Z' class security. Note: This is a satire. Please feel free to post your onion jokes in the message board below. Smuggling Gold, did you say? 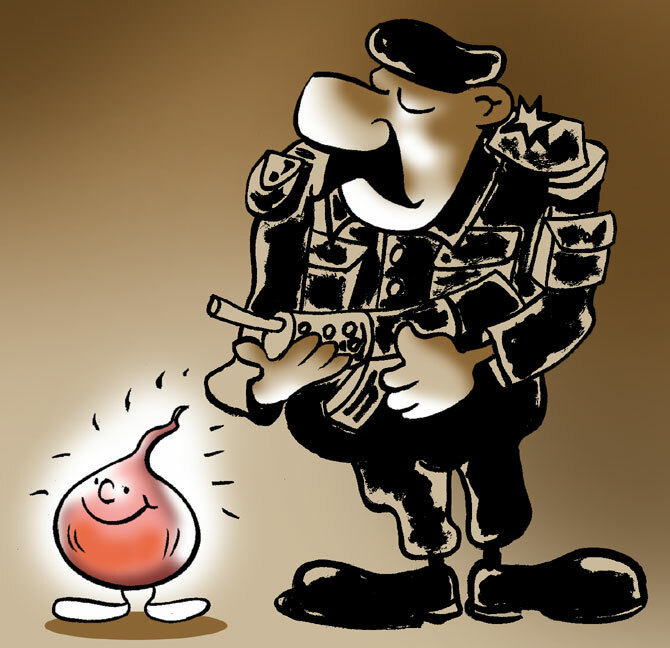 Smugglers love their onions these days. Image: Gold? Naah! 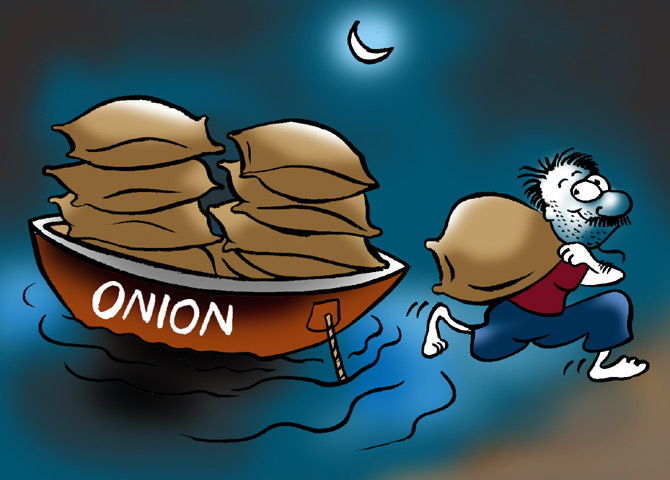 Smugglers love their onions right now. Kidnappers don't want huge amounts of cash as ransom anymore. "Give us one tonne of onions or else..."
Psst! Heard about the truck full of onions that was hijacked recently? It's true... Read all about it here. Image: Kidnappers don't want cash as ransom any more. World-famous auction houses, it seems, may have stopped looking for art, jewellery, artifacts from India. 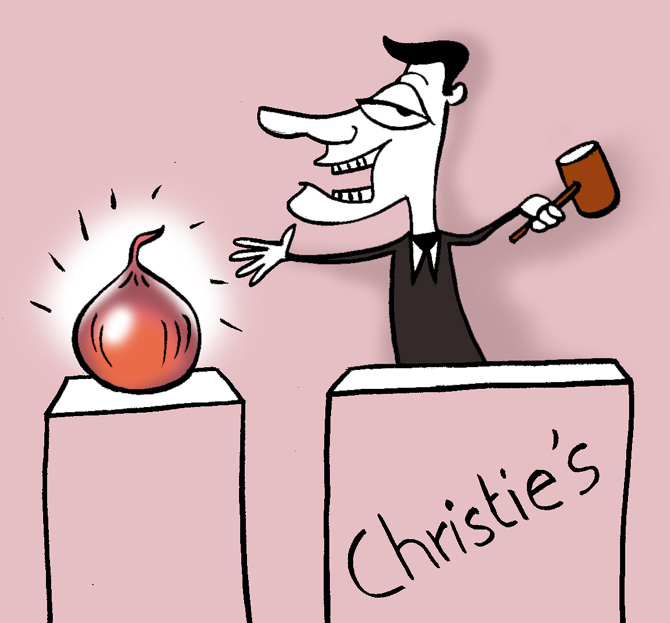 All they want to auction these days is the pricey ONION. Image: The onion goes under the hammer. You decide what's going to hit the 100 mark first: Will it be the failing Rupee? The Onion, which today seems more precious than gold? Or super-expensive petrol? Tell us in the message board below. 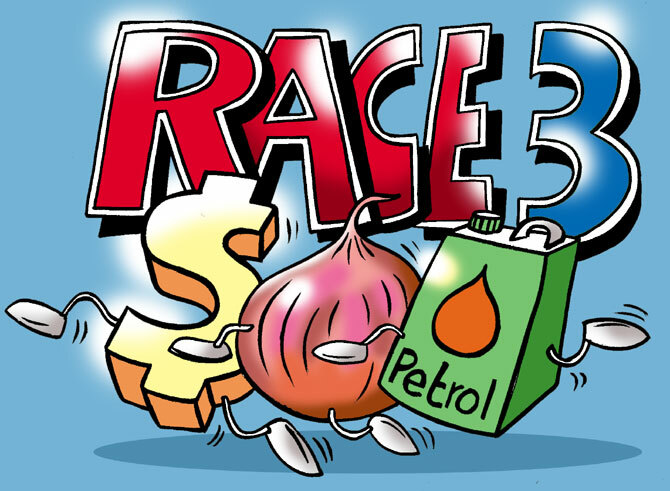 Image: A race to empty the common man's pocket.